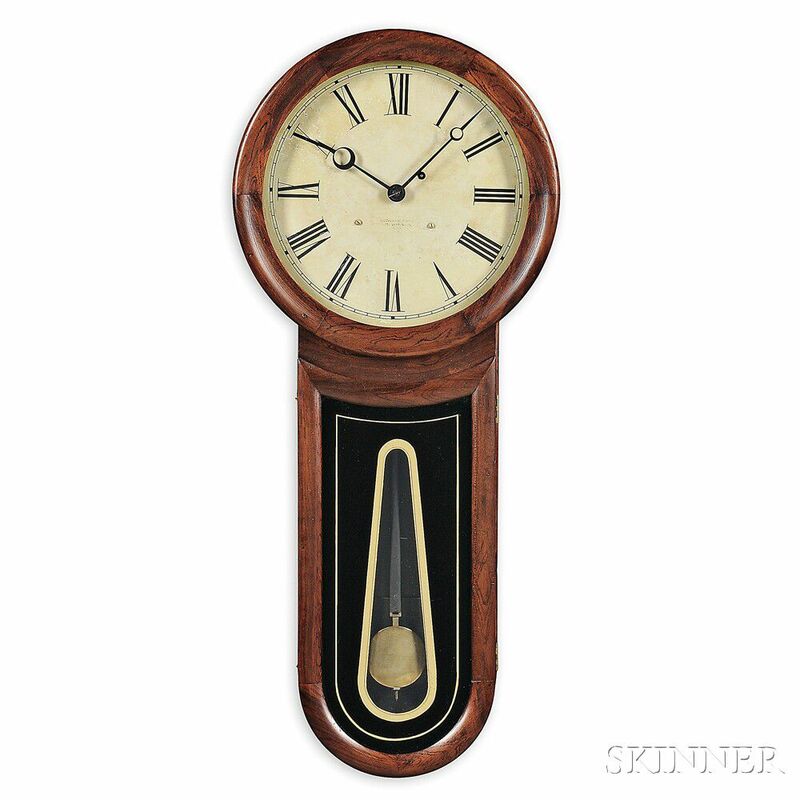 Williams & Hatch Keyhole Regulator Timepiece, North Attleboro, Massachusetts, c. 1865, with rosewood grain-painted mahogany case, painted zinc Roman numeral dial marked Williams & Hatch, No. 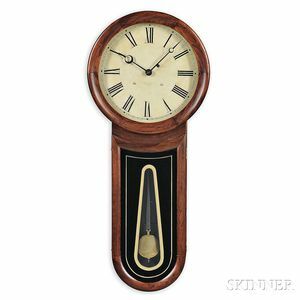 Attleboro, Mass., brass, eight-day, time-only movement, wooden pendulum rod, brass-faced bob, all powered by a cast iron weight, ht. 33 in. Black and gold lower glass repainted.